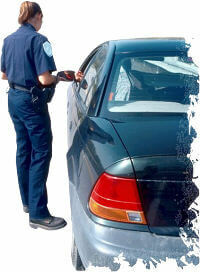 Speeding tickets and accidents may cause you to need high risk insurance in Cincinnati! If you have multiple tickets and accidents you will need the best high risk insurance quotes in Cincinnati! Call 513-662-7000 to speak with one of our agents. You can also receive an online auto insurance quote by clicking here. Does a driver in your household have a lead foot racking up tickets and accidents like they are doing a remake of Mad Max in the Thunderdome? Insurance companies in Cincinnati will rake you over fiery hot coals with massive price increases on your car insurance when you feel the need for speed and get caught. Your car insurance premium could be increased as much as three hundred percent or more, or they will simply drop you when the tickets and accidents start to pile up, possibly classifying you as a high risk insurance driver in Cincinnati. Especially is that the case if a driver is under the age of twenty one. Do You Want Cheap Car Insurance in Cincinnati? If so do not push the pedal to the metal. Try to leave for work or school a few minutes early so you do not feel the need to speed. Or if you are a parent and you have an emerging Evil Knievel in your midst, take the keys away or be prepared for triple digit rate increases on your car insurance bill! More helpful information can be found on our blog showing specific tips and strategies that might help you avoid being labeled a high risk driver in Cincinnati. Why Do You Want to Overpay On Your Insurance When You Have A Few Tickets And Accidents On Your Record? Click here for cheap car insurance rates in Cincinnati that are almost guaranteed to save you hundreds, if not thousands of dollars on your insurance when you have multiple tickets, accidents, and claims, or worse you have been labeled as a high risk driver!